The investment vehicle offered by Swiss Alliance Group presents a unique opportunity for the savvy investor. Aside from the advantages of leveraging the firm’s innovative product, investing in an offshore company such as Swiss Alliance Group provides a number of benefits. 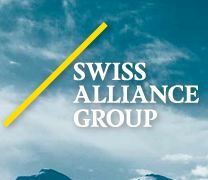 Swiss Alliance Group is headquartered inside one of the most economically stable countries in the world--Switzerland. The firm is also an active member of the historically secure Swiss insurance industry. According to Swiss law, creditors are not allowed to seize insurance policies for any reason, nor can they be a part of any type of bankruptcy filing. The Swiss Federal Act on Insurance Contracts has guaranteed this. In addition, annuities in Switzerland, including those offered by the company, can accumulate returns for periods lasting as long as 50 years. Couple this with the fact that annuities are free from Swiss taxes, and the benefit of investing with Swiss Alliance Group is clear. In addition to the financial benefits, investors can securely allocate their funds without risk of a breach in confidentiality. Swiss insurance companies are not required by law to report to any government if the investor or policyholder does not reside in the country. This ensures that the security of any policy, or payments and dividends received, will be kept completely confidential. Swiss Alliance Group is a distinguished member of the efficient banking and insurance industries in Switzerland. The firm’s commitment to employing competent professionals capable of handing complex matters intelligently and effectively has made it an international leader in annuities.